Instead, the Congress leaders were reported to have expressed satisfaction over the memorials that the then Karunanidhi-led government approved for the late Congress leader. Will succession war break out in DMK after Karunanidhi's departure? CHENNAI: Even as the controversy refuses to die over whether DMK president Karunanidhi denied a memorial for the late Chief Minister, Kamarajar, on the Marina beach, the archives of the editions of The Indian Express and Dinamani in 1975 show that there was no such demand, at least publicly made. Kamarajar died on October 2, 1975. According to Dinamani edition dated October 5, 1975, the then CM Karunanidhi said that Kamaraj memorial would be built at the Gandhi Mandapam in Guindy at the cost of `6 lakh. 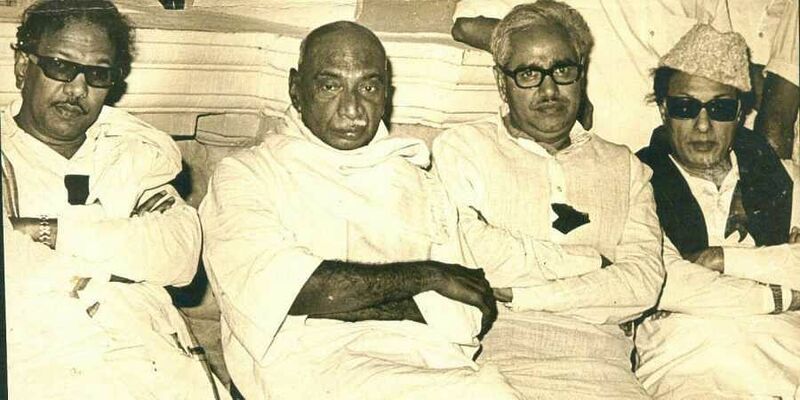 The government had also agreed to convert Kamaraj’s house in Virudhungar into a memorial. “Amidst heavy rain, Karunanidhi visited the Raj Bhavan garden (the erstwhile name of the place) to identify the location for building the Kamaraj memorial. He was accompanied by former Congress secretary Tindivanam K Ramamurthy,” said a report published in Dinamani on October 4, 1975. While now, the concerns are over the memorial encroaching on eco-sensitive coastal zones, back then an acre of forest land was cleared for Kamarajar’s cremation at Guindy (at that time, the entire area including IIT Madras campus was a forest). “PWD officials worked through night to clear about one acre of forest area for the funeral on Friday,” read the report in The Indian Express edition, dated October 4, 1975. Despite a wide coverage given to Kamarajar’s death and related news, there was no record of any demand made for a memorial for him at the Marina. Incidentally, on October 15 in 1975, former Chief Minister M Bhaktavatsalam appreciated the efforts made by Karunanidhi, Dinamani had reported.